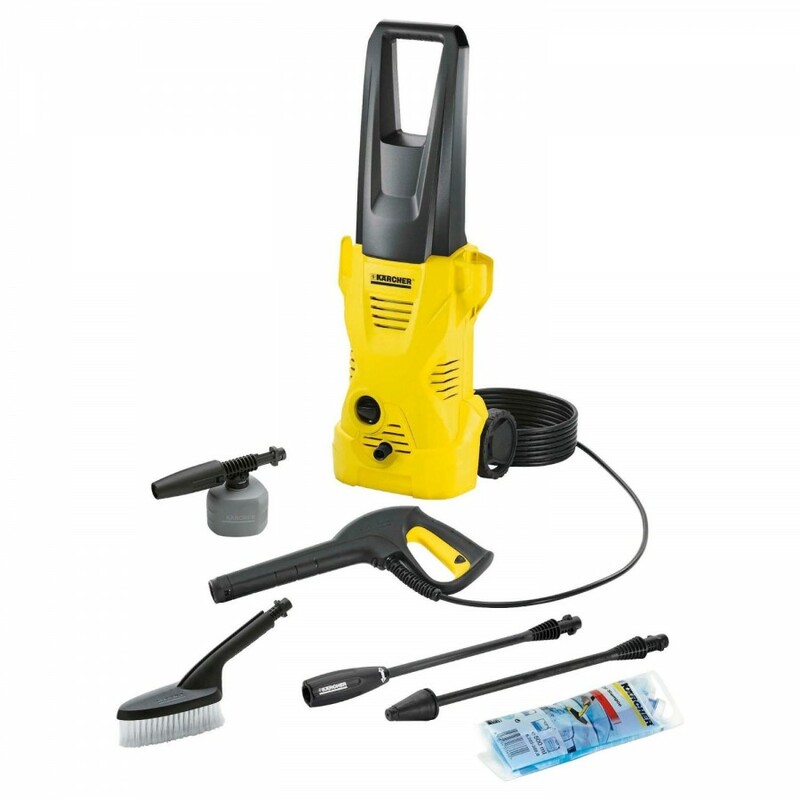 When it comes to cleaning the outside of your home to the highest standard, the Kärcher K2 home power washer is an extremely effective tool. At Kärcher we're aware of how much difference cleanliness can make to any outdoor area. For tiling in particular, power washing can provide results which will transform the exterior of your home. In fact, the Kärcher K2 home range is dedicated to helping proud homeowners re-discover the importance of real cleaning power. Whether you're moving into a new property and are looking to bring the outdoor space up to your high standards, or are simply looking to bring some new life to your own garden, the Kärcher K2 home power washer can help make light work of the situation. The power washer's small frame makes it easy to store, and the variety of attachments promise versatility. This means it's possible to put the Kärcher power washer to use in just about any outdoor environment. The wheels and long handle also contribute to the superior ease of use just about anywhere. To complete the package, the included detergent is suitable for cleaning a variety of garden surfaces, from tiled patios to wooden decking. Pressure (bar/bar)	20 - max. 110 / 2 - max. 11 . Voltage (V)	220 – 240 .